Hauling four boys from place to place was never easy, unless there was a plan. One of the games in my mommy arsenal was "What Animal Am I?" I'd pick an animal in my head and they'd have to ask questions, like what do you eat...do you live on land...are you a mammal, etc... until they could guess what animal I was. The winner got to pick the next animal. Worked great for car rides, doctor's offices, and other places where carrying anymore extra stuff other than the essentials required. Anyone know anything about Beta fish? This is my grandfish (AKA my eldest's baby) and he's been sick for a week and a half. I change a third of his water daily (dechlorinated & medicated). He only eats about once every three or four days and spends most of his time lying sideways on the bottom. I'm out of ideas. Any suggestions? These are so easy, though I shamefully admit I had no clue how to roll a croissant and had to have my husband show me. All you do is roll a hot dog in the croissant (large side first. Don't be an idiot and start from the small side...not saying that's how I first tried to do it, but well....) and bake for 13 minutes. I used to make these for sleep overs and class parties. Kids love them. To make them healthier, I use Hebrew National Fat Free hot dogs. Or if you're like my husband, we use those sort of hot dogs Jewish people can eat. See? I'm not the only ding dong in this relationship! 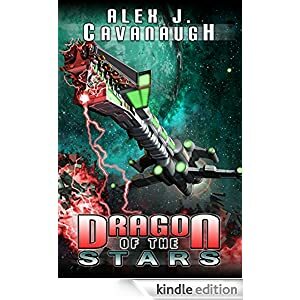 Special shout out for Alex Cavanaugh! His book releases today. I got my copy, how about you? You can get your copy HERE!! My youngest son loved/loves maths problems - I have spent many a journey, wait or walk giving him questions. Sadly, he's sometimes better and comes up with the answer before I've worked it out! I would never be fit to play any sort of math game. I am awful at math! Music keeps them entertained now. No sure what to do for your fish. My answer - Google it. Maybe you'll find a solution. We've been doing google cures. If all else fails, google! That's a very cute idea for a game. Kinda like 20 questions, but with animals! Yep. Mine were always animal crazy, so we never thought to venture past animals. I love beta fish, but sadly I don't know what to do if he's sick. Have you tried talking to people at fish/pet stores? Yeah, we talked to them first when we got the medicine. It was a large chain store though. We used to have one run by the owner. She'd have known the answers, but she's out of business. Oh my gosh - I so want to eat that frankfurter now! Now I want a hot dog...the two comments are not related, ha ha . I checked that site. They had several good ideas. Thanks! Your animal game reminds me of one I used to play with my kids while pushing them on the swings. I'd say an animal and they would have to make the sound or vice versa. When my oldest son was little, I had him believing a shark goes "do do, do do, do do"
That didn't work on the younger kids because their older brother always set them straight fast. The animal game sounds perfect for a car ride. Wish my family had known that one when I was a kid, I would have loved it. Betas seem like a sickly fish. I buy feeder gold fish and keep them as pets. I had one for years and years. Not so sure about these betas. They seem to be a high maintenance fish, which is crazy because they live in mud puddles in the wild. There are so many great ideas for families and kids now! Thanks for sharing yours, and stopping by my neck of the blogging challenge woods! What a cute idea, the animal game!! We played similar games in the car, but especially when waiting in restaurants for our food. Hungry kids can get restless! In our house, Beta fish never do too well. We just got another one, to replace the last one that died, and I told The Husband we should name it "Morta" since it's sure to be dead before the end of the month. He insists on getting them but they all seem to come here to die. It's so sad. I have NO clue what we are doing wrong. Those hot dogs look amazing. Hebrew National are my favorite kind of hot dogs too. Don't feel bad. The more I read about Betas, they seem to be the princess fish of the pet store. They need the perfect water balance, perfect temperature, perfect food...list goes on and on. I keep telling Caleb to just get a gold fish. They can live in just about anything. The site Cherdo suggested said to add aquarium salt to the water. I do that with my other fish, so I did it for him. We'll see if that works! Good luck! Let me know if it works. Two things for the fish, Google it or get in touch with a good pet store. They might be able to help. I'm afraid fish are not known for their longevity though. Or Sir David. What a cool game! And now I'm hungry. Thanks Liz! Love your animal game. I know nothing about Beta. What a great slumber party treat those hot dogs would be. And as for games...I love it when the family comes and we can sit together around a board game. They were popular at sleep overs...took me a long time not to call a guy party a slumber party. The animal game sounds like a great idea. Hope the fish gets better! I hope your fish picks up again soon. They're surprisingly worrisome little beasties, aren't they? They are worrisome. I keep telling myself it's just a fish, but still...I worry. Yes you can do it!! Congratulations. Amazing what we'll do for our babies. Things like cut out hotdogs and fish sit. I got my ecopy of Dragon too!! But I will also have to wait to read it. I have several, including this awesome looking book called the 7th Man to read. We totally play that game in the house :) and sorry about your fish. We played that game too. Sorry don't know anything about fishes, except to flush them down the toilet when they die! Congratulations to Alex! He's doing a little better. He's sort of floating vertically now. I think that's better than lying on the bottom. Poor fishy. I never had a beta act that way, so I'm afraid I don't know. I hope he gets better. Thanks. I don't know what else to do but wait. I suppose he'll get better or not. Can't say as I've had a Beta Fish live too long after it started doing the side stroke on the bottom, but it sounds like you're doing everything you can. I hope yours recovers. Thanks Jean. This one is baffling me, because you're right. Usually they side stroke and die. He's looking a little better this evening. I like that came you played with the kids when they were younger with what animal you were. Good guessing game for them. Sorry, clueless on fish, hope it does recover though. 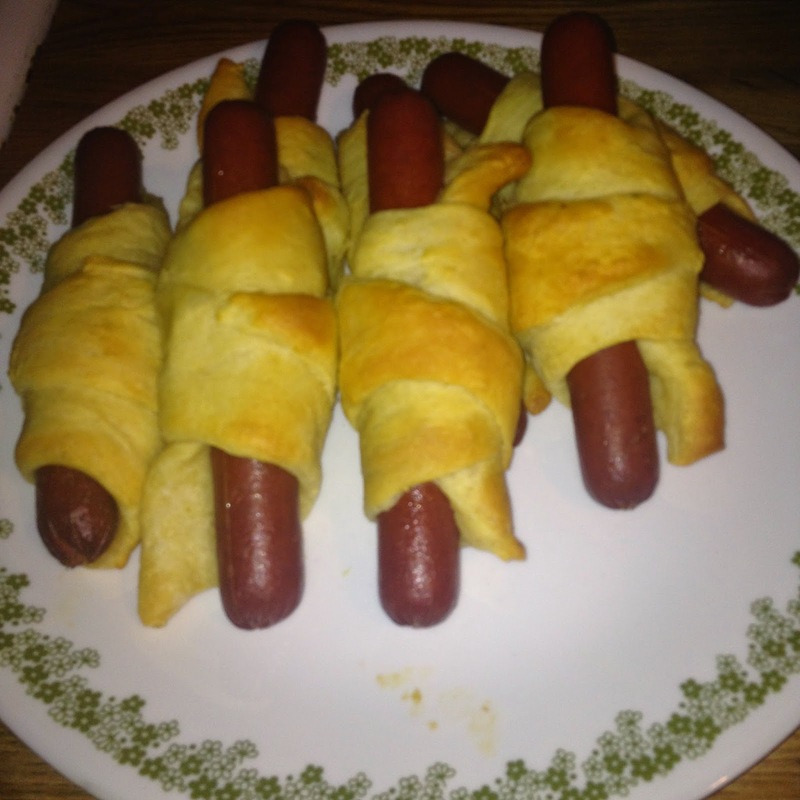 Yummy looking hot dogs :) My croissants never look like they should be, LOL, so I totally understand. Yeah, they make those croissants look so easy. Mine always look distorted. 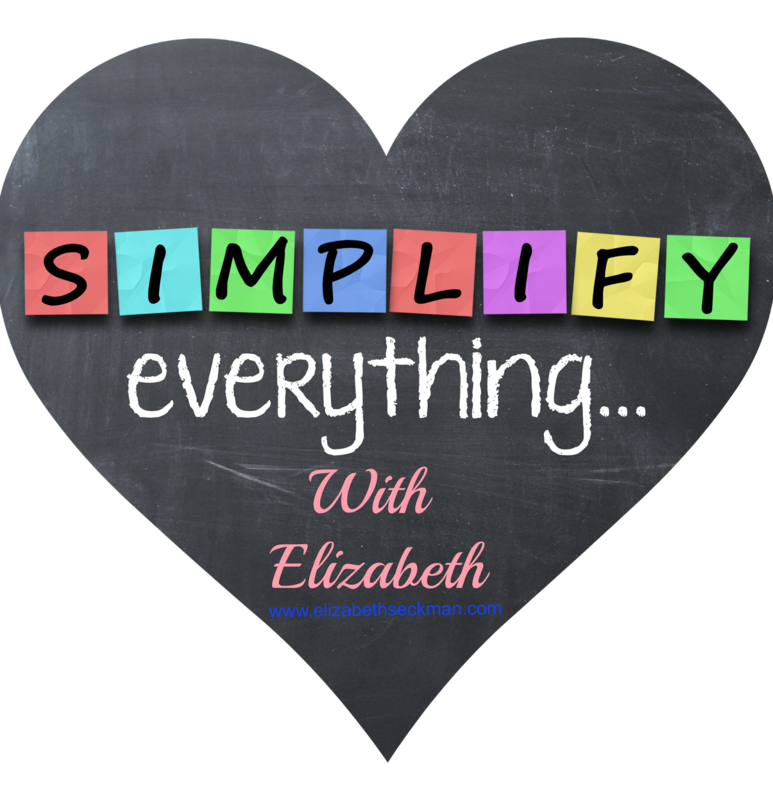 Hi, Elizabeth, thanks for stopping by during the A-Z challenge. I see in your bio that you're from Middlebourne. I know it well. I grew up in Spencer. I feel like it's old home week in the blog world. I'm sure there are many, many bloggers out there from WV, but you're the first one I've met. Are you still in WV? I had assumed not, but then wondered if I was jumping to conclusions in my excitement. You're right, there aren't many of of from WV. I've run into three in my four (or is it five?) years of blogging. I live in MD, but my mother still lives in Spencer. I was there just last weekend. You might say that I may live somewhere else, but I'm still a West Virginian at heart. Something about these green hills that are always home, right? My aunt has lived in Texas for years and can't wait to retire and return home. It's a special place. I've been blessed to grow up and raise my kids here. 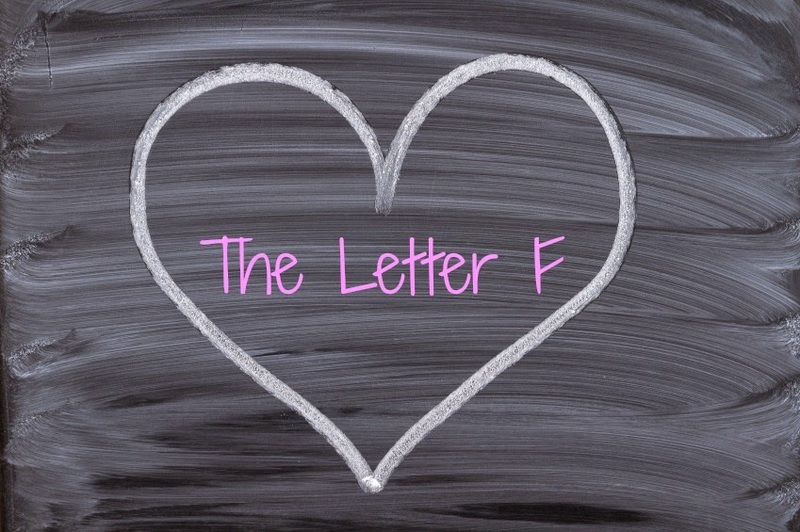 Yes, it is that alphabet challenge you hate so much. Might want to pull the covers over your head! Sounds like my older son's betta last year. He hung out at the bottom and was acting lethargic. We did everything we could (water changes, food changes), but nothing worked. I think it was his time. Hope you're able to heal your grandfish. It's not looking good. We've done it all too. I'm thinking you're right...it will be what it will be, but we tried. Sorry to hear your fish isn't doing so hot, hopefully, he'll pull through! I hope does too. If he doesn't, maybe Caleb will consider getting a gold fish. Those "hogs in a blanket" look great to me. I like them with the small cocktail sausages, too. Wish I could help with your angel fish. I don't know enough about fish to ever offer advice...proven by the time I put my neon tetras in with some oscars. The oscars had them for lunch, and I really, really felt bad about that. I was a teenager, but I haven't had an aquarium since.